Quality tried and tested air filter kits dont get any better than the new R-Sport Stage 3 Fiesta 1.6 EcoBoost system from Pumaspeed. The system can boast a fully CNC machined MAF housing with perfect internal bore size to match the original. A huge over sized group 'A' style filter element that will flow over 300 from the ST180 kit. Mandrel bent alloy pipework with no internal restrictions. ALL AT A SENSIBLE COST. The very small 1.6 EcoBoost turbocharger needs all the help it can get to its safe maximum of around 240bhp. This beautifully hand crafted R-Sport induction system opens the air system and adds turbo noise to the car. The Pumaspeed Workshop team are ready to fit the R-Sport Fiesta 1.6 ST180 Stage 3 Cold Air Induction System in our Head Office located here. Therefore making parts and labour a total cost £377.00 (inc. VAT). 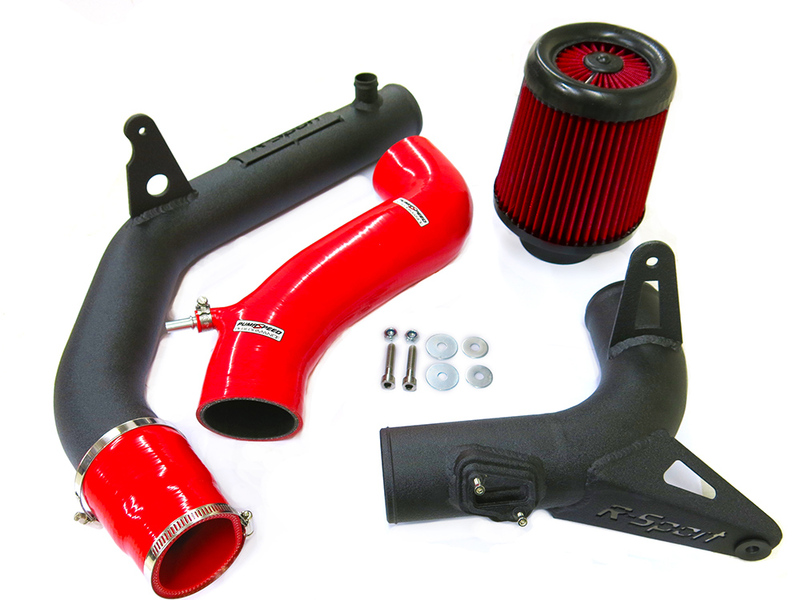 Pumaspeed have a specialist distribution team that can dispatch the R-Sport Fiesta 1.6 ST180 Stage 3 Cold Air Induction System to any destination worldwide.